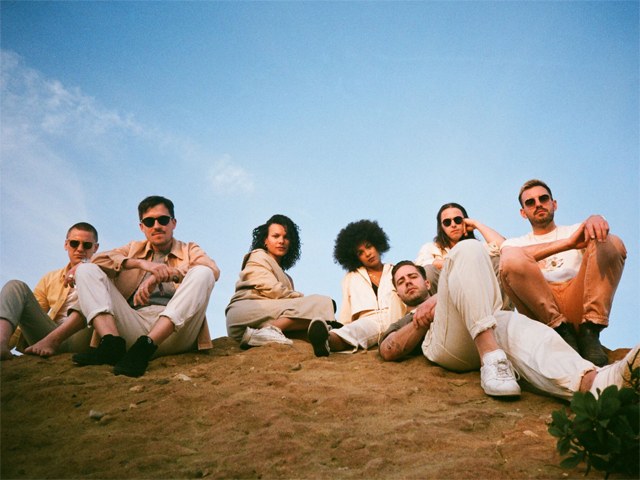 English funk collective Jungle are bringing 'the heat' back to Australia, serving up a night of soulful bliss in Sydney, Brisbane and Melbourne this April. Fellow Brit, Georgia, will add a twist of electro-pop into the mix, joining the seven-piece on the road in both Australia and back home in the UK. Taking inspiration from the likes of M.I.A. and Micahu, Georgia broke on to the scene with a self-titled debut album in 2015, sporting her very own brand of unmistakably British underground pop. Her most recent tracks, 'Feel It', 'Mellow' featuring Shygirl and 'Started Out' are shining examples of Georgia's thrilling pop lyricism combined with her natural flair and distinctive sound. Led by childhood chums Josh "J" Lloyd-Watson and Tom "T" McFarland, Jungle began to infiltrate playlists worldwide in 2014 with tracks like 'Busy Earnin'' and 'The Heat' climbing up the charts. Four years on from the release of their stand out self-titled debut album, Jungle made their seamless return to the airwaves with For Ever, debuting in Australia as triple j's Feature Album of the Week. Still maintaining their signature soul-funk flavour, packed with falsettos and psychedelic grooves, Jungle have expanded their sound with lyrical layers exploring emotion-drenched themes of real love and loss. Inspired by swapping London for LA in the pursuit of love and life experience, 'Heavy, California' was the first of many For Ever tracks to make an impact, reaching televisions around the world with striking live performances on The Ellen Show and Jimmy Kimmel Live. For Ever's dreamy tracks don't stop there, with groove-inducing tunes 'Happy Man', 'Cherry' and 'Casio' complete with stunning self-produced video clips. Jungle's triumphant return to Australian stages with special guest Georgia will be nothing short of spectacular. Tickets are on sale now in Sydney, Brisbane and Melbourne.